The contest ends at the December chapter meeting when the current year's Big Buck Contest winner is determined. Only deer legally taken by an ACSCI member during the current hunting season up to the December meeting date are considered eligible for the contest. Antlers are scored at the December meeting. The highest score, using SCI scoring rules, will determine the winner. The winner of the Big Buck Contest will get a shoulder mount of the deer completed by a taxidermist who is an ACSCI member. 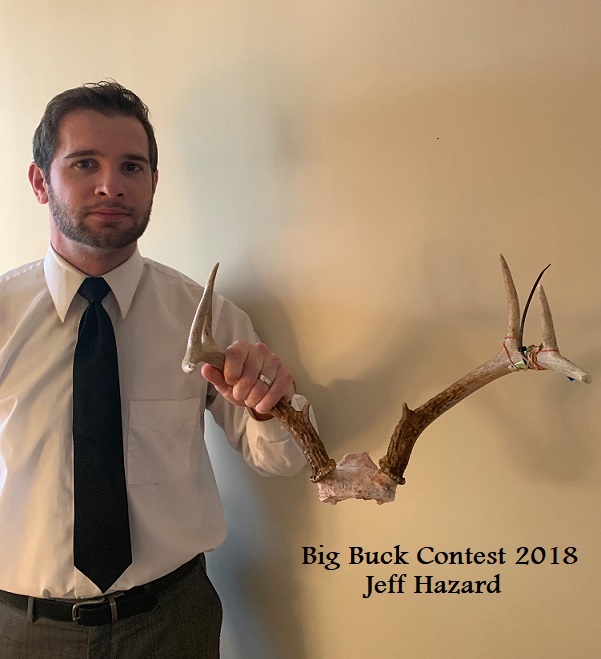 Curtis VanDewerker of Belvedere Mountain Taxidermy will be mounting the 2018 Big Buck Contest winner's deer.